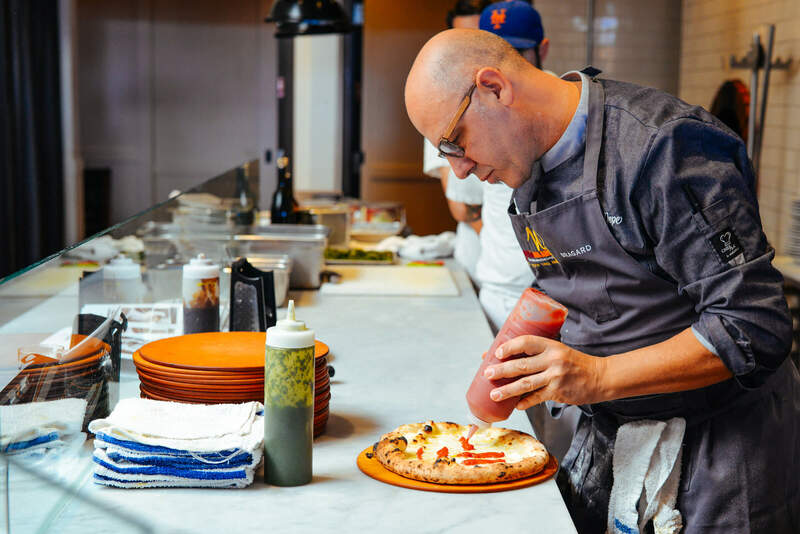 Una Pizza Napoletana in San Francisco is now closed, but you can still visit them in New York City. Several friends have recommended Una Pizza Napoletana, and in hindsight, we waited far too long to go. 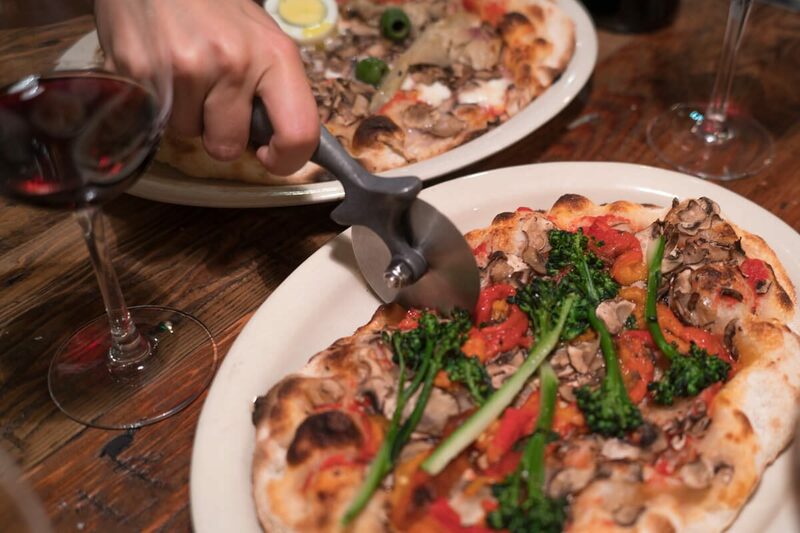 Neapolitan pizza is one of our favorite foods in the world. We made a special stop in Napoli just for lunch a few years ago while on our way to the Amalfi Coast for a taste of the real thing at Pizzeria Trianon, but between the pizza and the atmosphere, we think Anthony Mangieri’s pizza right here in San Francisco is the best Neapolotian pizza experience outside of Italy we’ve had so far. For over 20 years, Mangieri, owner of Una Pizza, has worked to perfect his craft. The menu has only five pizzas (six on Saturdays, you can read more about this special pizza here). There are no additions, no substitutions, and every pizza is served unsliced. The result of this limited menu is that every pizza is as close to perfection as possible and served exactly as intended. We ordered two Margherita pizzas, the pizza by which we judge all pizzas. There is a short (but good) wine list exclusively comprised of wines from Campania, but we ordered a special wine recommended by his wife Ilaria. 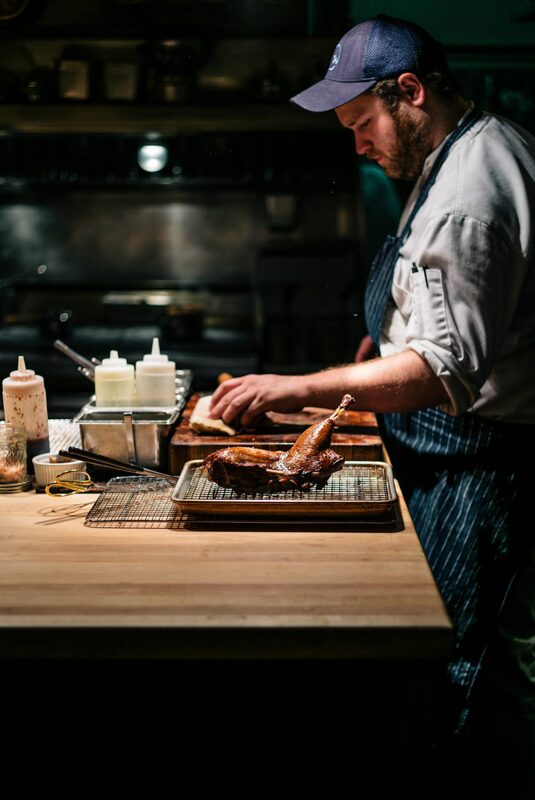 It was one of the most perfect meals we’ve had in San Francisco. If you have not tried Neapolitan pizza, make this your first, and don’t ask for it sliced! The perfectly charred, chewy crust is intended to be eaten with a knife and fork and is slightly soft in the center. Pair it with a glass of Aglianico wine and finish off your dinner with an espresso. We could have this pizza for dinner every day! Una Pizza is open Wednesday – Saturday only, from 5:30 until the dough runs out. Best to get there early! We’re looking forward to our next visit when we’ll be branching out to try more pizzas.